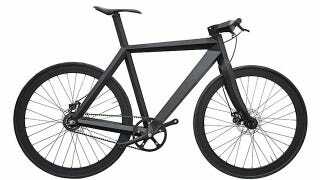 So it might not be the best idea to try and pedal your way onto a secure military base, but engineer Brano Meres' experimental X-9 Nighthawk bike frame looks like it would be as invisible to radar as the old F-117 stealth fighter was. Like anything supremely awesome, the X-9 Nighthawk is made with a lightweight carbon fiber skin that surrounds a core made from a material partially composed of Aramid, a synthetic fiber used in body armor fabric. In this application it was moulded into a strong honeycomb pattern that provides ample structural integrity with minimal weight.